They Might Be Giants were the subject of significant buzz and notoriety before the January 1990 release of their third album, Flood. Their 1985 demo cassette was reviewed in People magazine, the video for “Don’t Let’s Start” was one of the first by an independent act to gain significant rotation on MTV, and they gained substantial press for their novel Dial A Song concept, in which fans could dial their Brooklyn phone number and hear a new TMBG song every time they called. By the time the band was signed to Elektra Records in 1989, they had already released two well-selling albums on the indie label Bar-None – 1986’s self-titled debut and 1988’s Lincoln – which were jam-packed with catchy, quirky pop songs (and I mean “jam-packed.” To this day, most of their albums average about 18 or 19 songs). Those two albums were recorded in small studios on a tight budget. For Flood, the band – keyboardist John Linnell and guitarist John Flansburgh – was given free range in a large major label studio. According to a Rolling Stone article from 2009, the band spent two-thirds of their recording budget for the album on four songs (“Birdhouse in Your Soul”, “Your Racist Friend”, “We Want a Rock” and “Istanbul”). Those songs sound shinier and more complex than the rest of the album, and that’s not a slight on those other songs. What made the band’s earlier albums work was the fact that they were album-crammed with as much quality material as possible using an eight-track mixer. It’s rather amazing that they were able to come within budget when they had 15 more tracks to record. The album’s lead single was the shimmering “Birdhouse in Your Soul.” Structurally, the song is similar to the band’s earlier work, but blown into widescreen. The individual parts of the mix – Linnell’s vocals, Flansburgh’s guitar, the synthesizers, drum machines and other “whistles and bells” in the song – seem more spread out than how they were on their earlier work. The song is much less guitar driven than some of their other hits, and instead trades on a fluttering synthesizer and a sampled horn section. The music accompanies lyrics from the perspective of a nightlight that dreams of its “primitive ancestry” – a painting of a lighthouse on the opposite wall. The song is also peppered with the band’s trademark obscure references (the Longines Symphonette, both a classical radio program from the ’40s and ’50s and a discontinued brand of household electronics). On paper, it’s an odd song to become a hit, but its catchy chorus and quirky video turned it into a Top 10 smash in the UK. Aside from “Birdhouse,” the most well known songs on the record are “Particle Man” and “Istanbul (Not Constantinople)” and that mostly has to do with their appearance on Tiny Toon Adventures in 1991. The Tiny Toons segments featuring those songs have become the official videos for those songs, to the point where they appear on the band’s Direct from Brooklyn music video compilation. For most ’90s kids, the images from those cartoons cannot be separated from the songs. The lyrically deep but ultimately ambiguous “Particle Man?” It’s now about giant wrestlers. And “Istanbul (Not Constantinople)” is forevermore the soundtrack to cartoon characters adventuring across the desert. “Istanbul” is a cover of a 1953 song originally performed by the Four Lads, just under 20 years after Constantinople “got the works” and was renamed Istanbul. That version actually made it into the US Top 10, but it’s largely been eclipsed by TMBG’s faster, accordion driven version. The rest of the album is full of terrific pop nuggets. “Twisting” is a whirling organ track about a breakup so abrupt and awkward, the girl doesn’t even want her albums back. “We Want a Rock,” an ode to prosthetic foreheads, is led by an up-close lead vocal and a weighty accordion melody. The band’s 42-second paean to”Minimum Wage” consists of a single utterance of the song’s title, a Western “Yah!” and a bullwhip as a rousing display of sarcasm for dead-end jobs. “Dead” is a quirky meditation on regret on which the Johns’ harmony vocals are accompanied only by a piano. 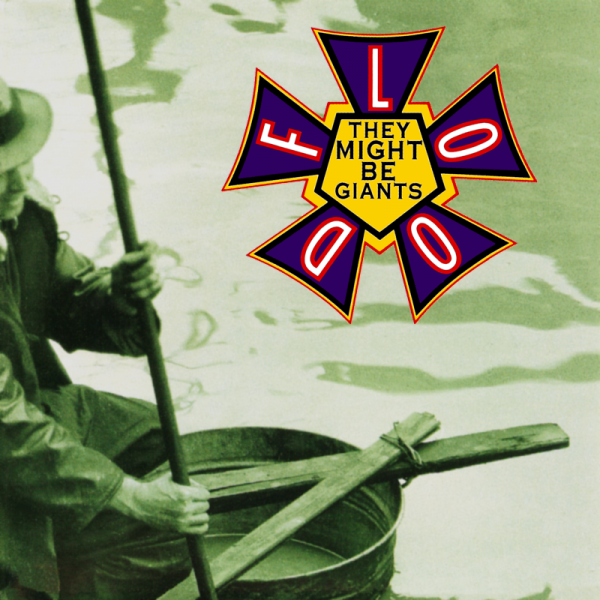 Flood turned TMBG from underground cause celebre to one of the most popular bands in alternative music pre-Nevermind. Backed by the success of “Birdhouse” and “Twisting” on alternative radio, the album went Platinum and reached number 75 on the Billboard 200. The apex of the band’s Flood-era fame came when the they performed “Birdhouse” on the Tonight Show Starring Johnny Carson, backed by Doc Severson and his orchestra. In 1990, the Tonight Show rarely booked newer or left-of-center musical acts, so the fact that the band even appeared, even on an episode guest hosted by Jay Leno, is an achievement. There are many reasons why Flood became such a success and has stuck with listeners. Chief among them is that it’s full of catchy songs with offbeat lyrical subjects that are funny without going entirely into comedy or novelty. Flood remains the band’s best-selling album and opened them to a legion of new fans. 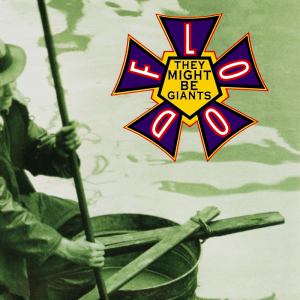 After 1992’s Apollo 18, the Johns expanded TMBG to a full band and have continued to cultivate their devoted following. Recently, the band revived their old Dial-A-Song service to give their fans a new song for every week of 2015. The service is available from dialasong.com.